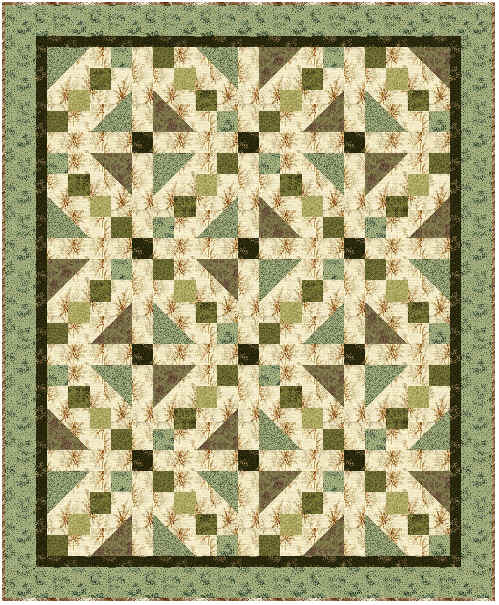 Jacobs Ladder (or the Road to...) This classic design has been called by many names. In 1915, Marie Webster referred to it as Jacobs Ladder. In 1929, Ruth Finley called it The Underground Railroad. 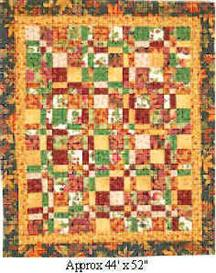 This wasn't unusual - there were no quilting or needlework magazines as we know them today. 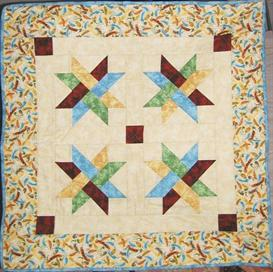 Although some 19th century womens magazines did show geometric designs for patchwork, they were rarely named. 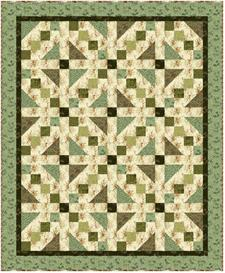 The names we use today for most quilt blocks have a 20th century origin - the newspaper circulation wars of the 1930's. In that war, this design found itself recolored and renamed the Rocky Road to California, the Broken Sugar Bowl, Steps to the Altar, Golden Stairs and many more. 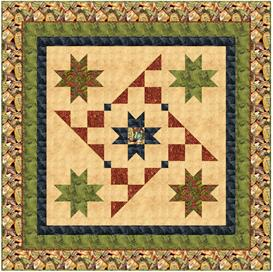 This pattern includes two of the most popular variations on this pattern, all based on the same block. Three sizes of are given in this pattern.